What makes the ACT so Intimidating? There are myriad of factors that tell why ACT is so important and so intimidating. Many parents today, particularly on the West Coast, are unfamiliar with the ACT exam. For years, the SAT was the most popular and most widely regarded exam, particular on the East and West Coasts. The ACT was only historically administered in the Mid-West. This has changed. The ACT is now quickly becoming the most widely taken exam. It's gaining a lot of ground. 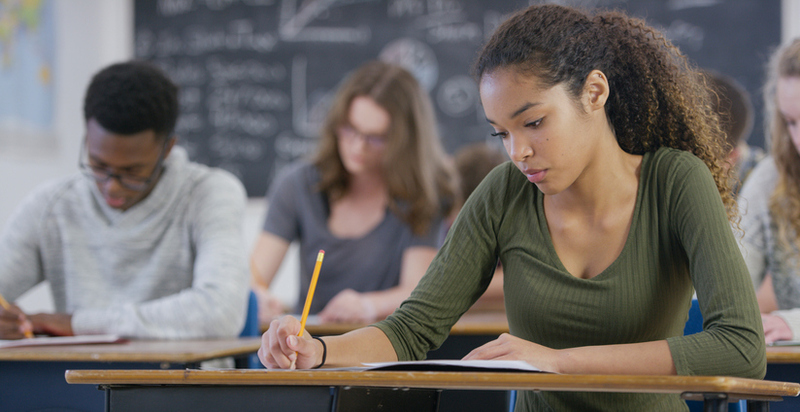 There are three main reasons why students take the ACT or any standardized exam. One, most colleges ask for a standardized test score during the admission process. Whether you submit your SAT or ACT score during the admission process is entirely up to you. Two, you might also get a scholarship based on your performance in this test. Many scholarships are awarded based on PSAT scores or even ACT scores. Its important to figure out which scholarships are merit based. Three, even some jobs, for example in consulting or finance sectors, ask for your ACT score. It is considered to be the more approachable exam. The ACT tests a lot of what you are already being taught in school in an approachable manner. Many students who are stronger at the reading comprehension and grammar portions of the exam opt to take the ACT. The ACT only has 1 math section, so students who are less adept at the math prefer it. Students who are stronger at reading and grammar prefer it because there is a reading comprehension, a grammar section and a science section which is also a reading section. The essay is also a personal argument over current events while the SAT essay is a literally analysis of a speech using rhetorical devices that must be analyzed. Although many students think there are strict time constraints on the exam, the ACT has far more generous time constraints than the SAT. Many students are really intimidated by the dreaded Science Section. However, the science section on the ACT is another reading comprehension section which tests your ability to read charts, graphs and unfamiliar data. There is no prior knowledge of science needed. The stakes are always high with any standardized tests because they weigh heavily in the college admissions process. But, many consider the ACT the more approachable of the tests because it tests a lot of what you already know whereas the SAT tests your critical thinking skills!